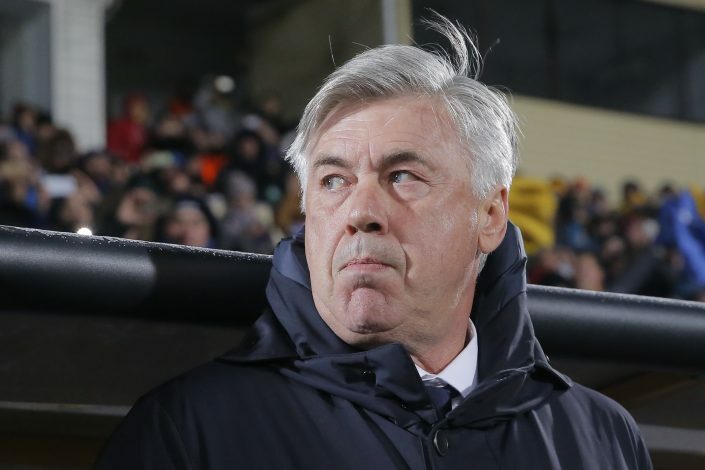 Carlo Ancelotti could face a German FA sanction after admitting he put his middle finger up at Hertha Berlin supporters. The Bayern Munich boss made the offensive gesture at the home fans but insisted it was actually in response to being spat on during a Bundesliga fixture. League toppers Bayern were forced to leave the field with a 1-1 draw at Hertha on Saturday after Robert Lewandowski rescued the Bavarians with a to stoppage-time equaliser. But Ancelotti was furious with the attitude of the Hertha fans and was caught on camera appearing to raise his middle finger in their direction. ARD further report that the German Football Association (DFB) will talk to the former Chelsea, Paris St Germain and Real Madrid boss to find out his views on the matter. Interestingly, Ancelotti was not the only member of the Bayern squad frustrated with the Hertha supporters. Goalkeeper Manuel Neuer also expressed his irritation with the home fans’ conduct following the match. Lewandowski’s goal six minutes into added time cancelled out Vedad Ibisevic’s first-half opener for Hertha. It guided Bayern to open up an eight-point lead at the top of the Bundesliga, which was closed back down to five after RB Leipzig’s 2-1 win against Borussia Monchengladbach on Sunday.